For the last year people have been starting to stress out about what might happen on December 21, 2012. At times it feels like we cannot avoid hearing about it. There are many movies, T.V. shows and more on all the time. Even my kids are hearing things about December 21 2012 at school, teachers, other parents and even other students. My children are becoming scared about all the different things they are hearing about. Because of this we have been talking with our children about the different possibilities of what might happen, and what things we can do as a family to deal with the different possibilities. From this we have created a Christmas gift wish list – things we want this Christmas that we think can be useful if things go bad, but stuff we would make use of even if things don’t go bad. I hope this Christmas wish list of ours is of interest. My kids really want hand cranked flashlights. 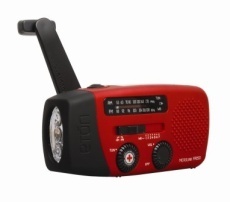 My daughter wants the hand crank flashlight and radio combo. There are some solar items out there but I like the idea of hand cranks – if the weather is bad you can still use the items. We also looked at old fashioned egg beaters – the hand crank ones. We have been looking for them at our local stores for the last couple of months. We have only found them online, so we will be picking up two of them soon. There are many other hand crank items out there that can be useful for everyday stuff. I have no problem using them, and not using electricity. A weighted pressure canner (not cooker). We already picked this up. We are taking advantage of sales and canning fruits and vegetables. Actually we are cooking complete meals and saving money already. It is great. Also if the power goes out – no worries about the food going bad like the stuff we have in our freezers. We are going to be getting lots of canning jars, lids and other canning products needed. Hibachi grill that can be used outside. This is a quick and easy way to cook, even in the winter if the power goes out. We can use it all summer as well. 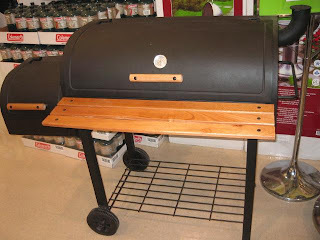 Wood and charcoal BBQ and Smoker. This is a great way to cook, even in winter. Smoking is a wonderful way to cook and we would use it all year round. Again this is a great way to cook if the power goes out. Also we don’t have to worry about running out of propane. We will stock up on charcoal and wood chips but if we run low we can always get wood from the forest around us. Air tight wood stove. This can be added to our home if need be. Even if we had to put it into our basement and the chimney out the basement window in an emergency. It would keep our home warm, and we can cook on it. If we owned our home we would have a fireplace or an Air tight wood stove installed. We actually would love to have a fireplace now. They are great. Cast Iron Cookware. I grew up watching my mom cook using only cast iron cookware. I even had some that I loved but someone took them on me. So I would love to replace them. There are a lot of great reasons to use Cast Iron cookware. They can go from stove (top and oven) to campfire no problem. They cook more evenly than any other cookware I have ever used. They hold heat well, so you can heat them up and actually turn off the stove and the food will keep cooking. When seasoned the flavours you can get out of the pans and other Cast Iron cookware is amazing. The funny part is that it used to be difficult to find more than the occasional Cast Iron pan but now Sears has come out with a complete line of Cast Iron cookware – including cupcake pans. I plan to buy the Cast Iron Cookware piece by piece – and maybe pick up a couple as Christmas gifts. Hand crank pasta maker. I have wanted a pasta maker for a long time. 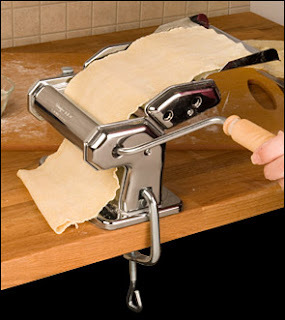 I want to make fresh pasts, but I also want to use the pasta maker to help roll out my shells for Chinese dumplings, pirogues, tortillas, pie crusts, and pizza dough. The one we found is less expensive than all the electric ones we were looking at but it is also smaller and a lot of the accessories available with the electric ones are not available. The one we found does some basic noodles, but it is a start. We use it for many things not just noodles. I would like to pick up some solar panels and start using them every day. Unfortunately we rent and our landlord will not let us put any up. There are many small emergency solar power generators that we could pick up. They can go in the windows. A few of them can be used to provide power for the fridge, freezers and stove if need be. 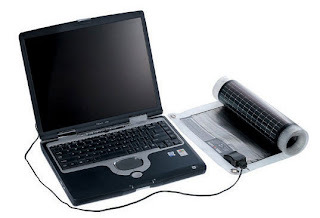 There are many different types of solar power collectors or generators some are small and are able to power a laptop; others are able to keep larger equipment powered. This is something that my son would really love to have – he wants to be able to play his computer games no matter what. Bikes for the entire family. We don’t need gas to get around with bikes. We can also attach little carts to the back of them if needed. Also to be blunt it is a great way for us to do something as a family, and I could use the exercise. We live close to a nature trail we could be biking on as a family – so why not get bikes and start doing it. E-bikes. We have wanted E-bikes for the last year. 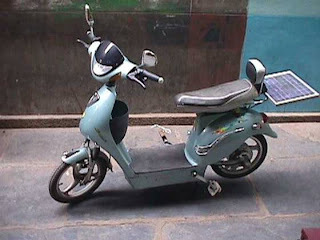 They don’t take much electricity and are way cheaper then cars to run. Only problem is that we will soon be a family of five. They don’t let the kid e-bikes on the road the way they do the adult e-bikes. So if we do get them it will be for trips without the kids. Another drawback is the limited storage space. If we go shopping we can only bring small amounts home. There are some e-bikes with passenger seating and carts attached to the back but I am not sure how the law down here sees them. Are they vehicles that need to be treated as a car – with the insurance and road rules or not. We want to make sure we don’t buy something we cannot use all the time. On a good note – if we buy an e-bike there are solar generators that can be attached to charge them so we may be able to use them even when the power goes out. Electric car or van. We would like to have one but our home is not set up for that and our landlord will not let us set it up. If we move it would be something we would look into again. Fishing poles, wire, hooks and everything else that is needed when fishing. We live by a lake so fishing is something the kids are interested in doing. At this point I don’t think I want to eat anything they could catch in the lake, but it is better to have the option of fishing. Compression Bows and arrows. My son has been interested in archery for years. This is a hobby he would like to take up. We have a couple archery clubs in the area that he can join. It is a good option if things go bad. 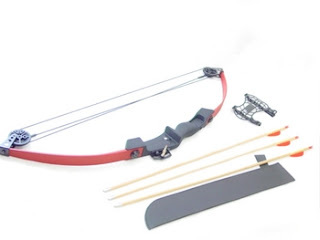 Compression bows and arrows are great for hunting. The arrows can be reused, repaired or new ones made much easier then bullets. I know my son would love to learn how to shoot with a bow and arrow even if he never does anything more than shoot at targets and enter competitions. He was excited when he found out that archery is an Olympic sport. If he starts now he has 8 years to get good at it and maybe have the possibility of trying out for the Olympic team if he is great at it. If not is it something he would just enjoy. 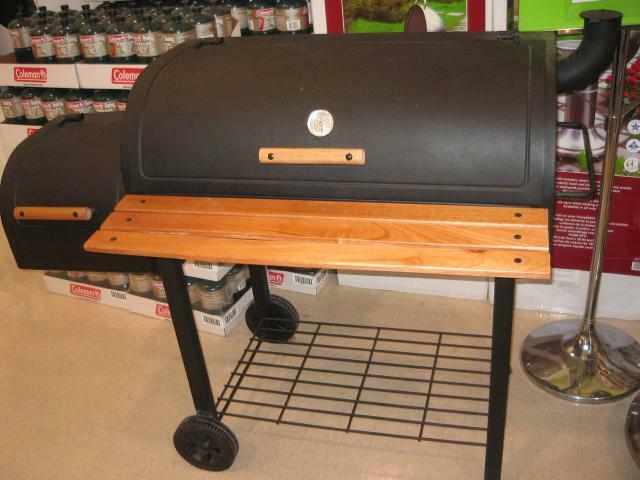 Camping equipment – any and all. This is everything from tents, sleeping bags, back packs and cooking equipment. My husband would like to include hunting gear with this. I know my kids have wanted to go camping for years. We used to go camping in the summer all the time before the kids, but we got rid of our camping gear years ago. I think once we pick up camping gear again we will go camping again. As for hunting, that is something my husband used to do before he moved down here. I grew up with my family hunting every year so I know it is a great way to get meat cheap. I am not fond of hunting but if that is something my husband wants to do again I can work with him. I am sure that there are more things we will add to our 2012 Christmas gift wish list as we think of them. Mainly we wanted to let our kids know we are not helpless. If things do go bad we know what we need to do and have to survive just about anything. Since we sat down with our kids and created our Survival Christmas list my kids are feeling better, safer. We have plans to get most of the stuff on our list slowly. We can see the advantages of using them and cutting down on our energy use. Some of the items would give us things to do as a family, others we just like the idea of having them. We changed how we buy and cook in the last six months, not just to save money but to eat better. The canning equipment and smoker/BBQ are just an extension of this. We are using this to improve our lives – even if nothing goes bad December 21, 2012. 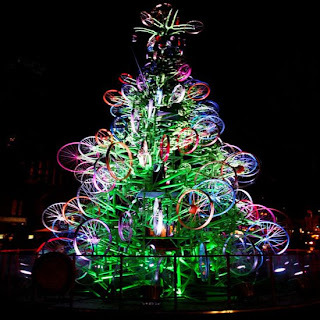 Thanks this is a awesome post about christmas festival celebration.